With Halloween around the corner here are some no deposit freebies. Enjoy! Bonus Terms: This bonus is valid on Slots & Keno games only, comes with no wagering requirements, no limits on withdrawals, and will be redeem with any deposit of $50 or more. Insurance Terms: 100% Insurance is based only on deposits made using the coupon code SCREAM290. It’s valid to play any game except Baccarat, Craps, Pai Gow Poker, Pontoon 21, Roulette, Sic Bo, and War. The insurance comes with a 30X Playthrough Requirement (60X on Table Games & Video Poker). You may withdraw no more than your original deposit amount, with $100 being the minimum. Golden Euro Casino, 31 Free Spins for Ghost Ship EXPIRED! 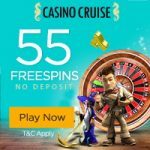 Treasure Island Jackpots Casino, 40 no deposit free spins + 100% first deposit bonus. Bonus Code: GHOSTLY. New players only EXPIRED! Mission2Game Casino, $7 Free Play Bonus, no deposit needed. Bonus Code: SCARRY7. Contact Support through Live Chat with this code. EXPIRED! Residents from Belarus, Bulgaria, Hungary, Kazakhstan, Lithuania, Poland, Russia, Slovakia and Ukraine cannot receive the Free Money. Spooky Daily Freeroll – Slotocash, Uptown Aces EXPIRED! Take part in the Spooky Daily Freerolls at both Slotocash and Uptown Aces for your chance to win $100 cash every day! Pamper Casino, $31 free chip. Bonus Code: BET31SOFT EXPIRED! Silver Oak Casino, up to $1000 freebie, if you make a deposit using CREW270 Bonus code.You get a 270% bonus PLUS a guaranteed free chip. Grande Vegas Casino, $31 free chip with the HWFREE31. Valid only on October 31st! EXPIRED!